Roxy’s life experience as an Afro-Caribbean immigrant combined with her academic training and professional work as a licensed clinical psychologist and CNVC Certified Trainer have cultivated a deep passion in her for work that supports social change, whether that’s with individuals, couples, or institutions. As a facilitator, she’s thrilled by the process of holding opposing voices and ushering groups from discord towards values-driven solutions that work for everyone. Her own inner work coupled with her professional experience has grown her capacity to meet people with varying levels of education, disparate life experiences, and the most intense feelings in ways that help them feel heard, respected, supported and loved. She has worked with individuals and groups committed to social justice in Sri Lanka, Japan, The Netherlands, and Thailand. Roxy also consulted with businesses, nonprofits, and academic institutions and government organizations around the U.S., wanting to move towards equitable and diverse hiring practices and workplace cultures. Roxy brought Nonviolent Communication into her psychotherapy practice in 2003, and has been offering classes and workshops in NVC since 2005. She served as the Executive Director of BayNVC from 2014-2017, was a trainer for BayNVC’s NVC Leadership Program from 2008-2017, and has been a trainer for the Nonviolent Leadership for Social Justice Retreat since she co-founded it in 2007. She served as an elected member of the Center for Nonviolent Communication’s Implementation Council from 2017 – 2018, where she collaborated with other experienced NVC practitioners tasked with reinventing CNVC’s communication, and moving the organization’s decision-making structures toward effective democratization and connection to the NVC community worldwide. 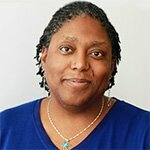 As a psychologist, Roxy maintains a private therapy practice, and works with the City and County of San Francisco’s Disability Evaluation and Consultation Unit, serving the homeless and disenfranchised mentally ill population.